CARMEL, IN – October 2, 2009 – Elisabeth Edwards, an attorney and domestic mediator at JOCHAM HARDEN DIMICK JACKSON, PC, was a speaker and panelist for a Women and the Law Class on October 1, 2009 at the IU School of Law, Indianapolis. The panel discussed topics and issues of interest for women who are pursuing careers in law as well as women who are the subject of or involved in litigation. Ms. Edwards is an attorney in the Family Law Practice Group of JOCHAM HARDEN DIMICK JACKSON, PC. 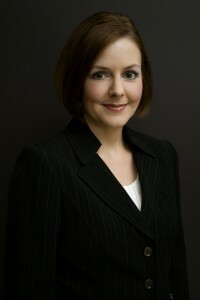 In addition to focusing her practice on all areas of family law litigation, Ms. Edwards is also a registered domestic mediator and a member of the International Academy of Collaborative Professionals, representing clients in the emerging field of collaborative divorce, an alternative to litigation. A 2002 graduate of Indiana University School of Law-Indianapolis, she is a frequent lecturer and seminar presenter on diverse topics in family law addressing children’s issues and property distribution as well as legal education for paralegals. Ms. Edwards’ professional career involvements include the Protective Order Pro Bono Project of Greater Indianapolis, Inc. for which she has served in several capacities, including the Board of Directors. She has also completed specialized training and currently serves as a court-appointed Guardian Ad Litem. Ms. Edwards’ is a member of the Indianapolis Bar Association and serves on its Board of Directors as well as the Bench Bar Committee and Pro Bono Standing Committee. Her professional memberships also include the Family and Juvenile Law Divisions of the Indiana State Bar Association.